MailUp has announced a new release of the BEE email editor, and introduced the BEE Plugin, an embeddable version. 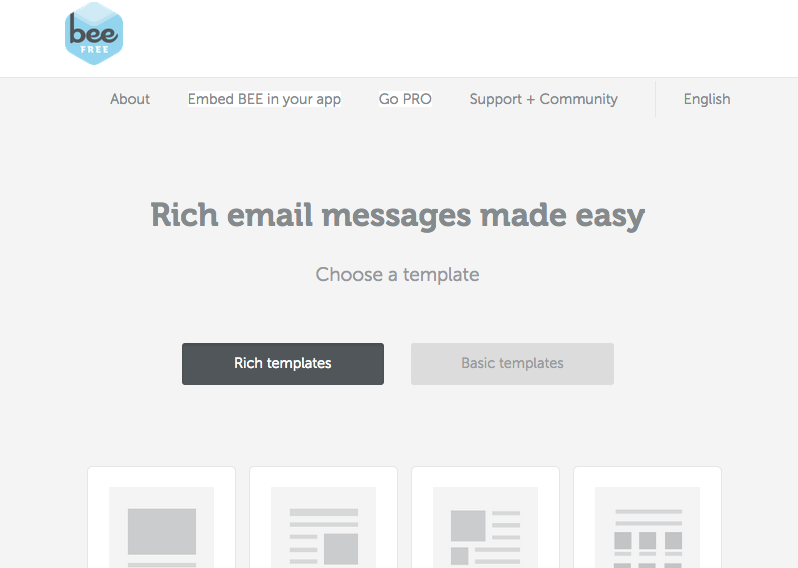 BEE Free is the free email newsletter editor version of MailUp’s drag-and-drop editor for creating responsive emails. 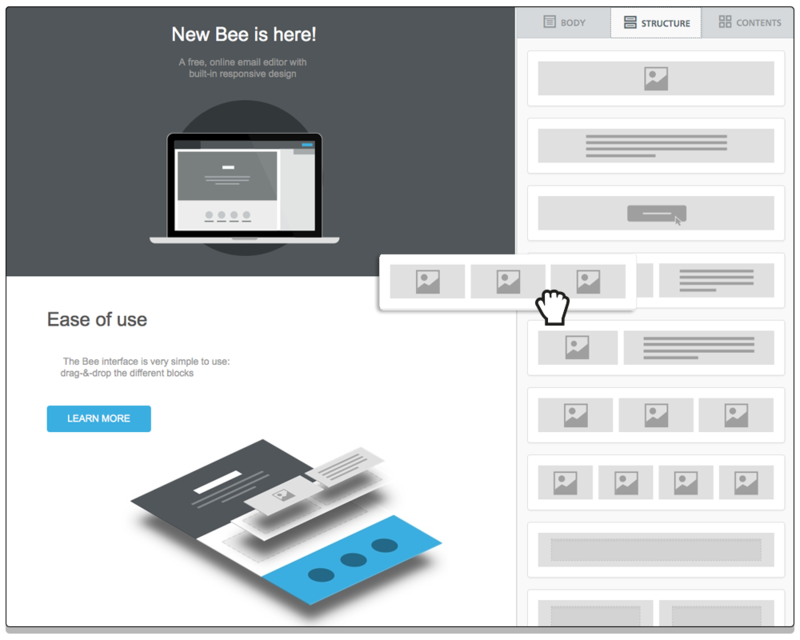 With more than 30,000 active users per month, BEE has become a popular email design tool since the launch of the free email newsletter editor last fall. 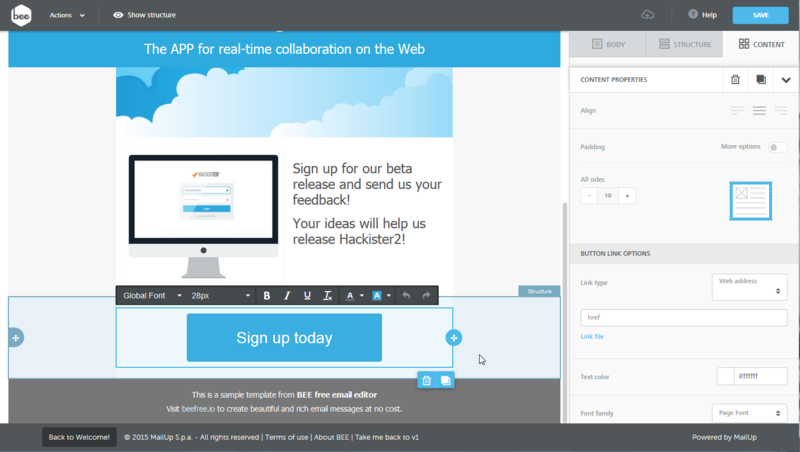 They are now allowing other vendors to include the editor through an embeddable plugin. I think this is big news. Mailup went public with their IPO last fall and since then is taking a pretty strategic approach to expand their user base. Through launching the free version of their editor and now allowing others to embed it they are seemingly expanding the pie rather than just getting a bigger piece of the ESP market. Which is already pretty crowded. MailUp is the biggest ESP in Italy, both in terms of number of customers and for number of emails sent. They are looking to expand their reach dramatically. Here is a video of Massimo Massimo Arrigoni Chief Product Officer at Mailup about the new launch. MailUp confirmed that they will also allow other ESPs to embed the email creator. There is certainly a need. Many email software providers recognise that users want a drag-and-drop editor and are sometimes struggeling. Our own research for the email marketing software buyer’s guide shows that from the 110 email software providers that are worth considering, 24% don’t offer any kind of drag-and-drop functionality in their editor and 38% won’t allow for areas to be defined for responsive email. Some ESPs have released a responsive / drag-and-drop editor recently, but not all are equally good. The release of embeddable editor goes head-to-head with the other embeddable email editor EDM designer and the (discontinued) Easy Peasy Newsletters editor. Breaking open a new market could be a game-changer. CRM, CMS, ecommerce, or other applications and providers that need to build email externally now, or do a poor job at the moment can almost instantly get a much better experience for their users with embedding the drag-and-drop email creation tool. Vendors and users that are interested can check out the tool at beefree.io and apply for the Beta of the Bee plugin here. While BEE is a free email newsletter editor for the public, the embedable version is paid. Pricing will be finalized soon, the communicated price is on a per user basis of $1 per month, with tiered discounts for applications with a lot of users. In October, 2014, MailUp launched the free email newsletter editor. Based on the input of the now more than 30.000 users, MailUp has updated both the paid and the free email newsletter editor versions and released it as BEE v2. 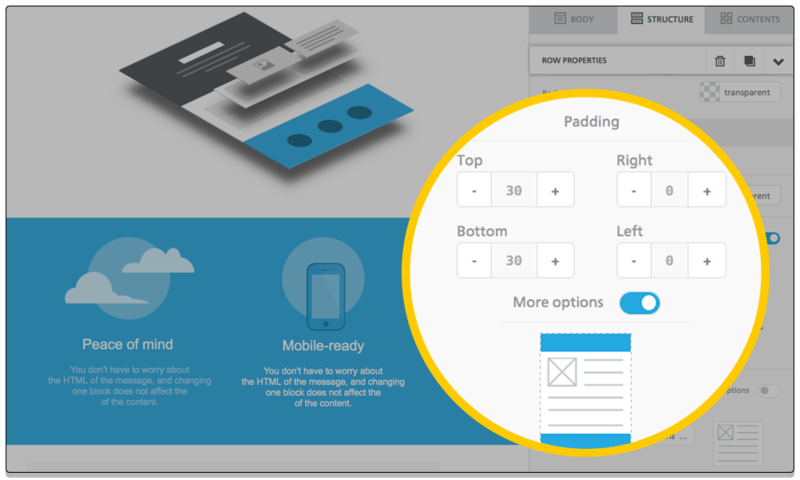 BEE allows email marketers to quickly design fully responsive email newsletters without the need for HTML or CSS coding knowledge, simplifying the HTML email creation process. Here are some screenshots of the BEEfree V2 improvements. You can try the new version of the BEE free email newsletter editor at beefree.io/ or have a look at the MailUp company profile.